Chitirapuram Hill Station is situated at Idukki District in Munnar which is considered to be one of the hill famous hill station. Do you want to know more details about Chitirapuram Hill Station? Please read here about attraction spots, details and contact address of Chitirapuram Hill Station. 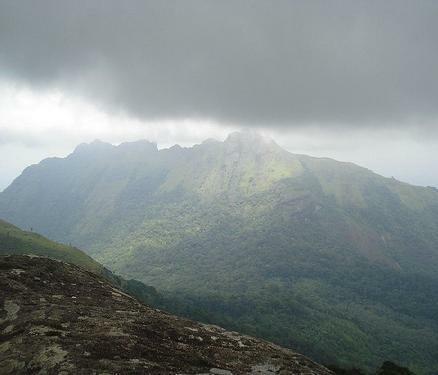 Chitirapuram Hill Station is is Located at 10KMS from Idukki. It is the tallest peak in the region and views are capturing our eyes and the most fascinating scenery are also found here and it’s the place of Gods Own Country. Chitrapuram is one of the top of Sahyadri and larger peaks is a challenge that is difficult to resist for an adventurous tourist and here you can enjoy full pleasure and finds to be very relaxed in all stage of people. Come and admire the views of Chembra Peak. The Chitirapuram Hill Station is comes with Pallivasal Hydel Power plant is located in Chitirapuram Hill Station. The Chitirapuram Hill Station is very beautiful and it is admired by many of the people. A Drive from Idukki to the foothill of the peak and it has a breathtaking and you can feel the cool wind and breeze gives an immense pleasure with the tea estates also located around the Peak. A walkthrough the tea plantation gives an immense pleasure to our soul which is very relaxing and cool breeze won’t allow us to leave that place. Also a Three storied forest on the foothill of the peak and a three Kilometer trek from the foothills at the same time tiring and hiring. There are Hills, mountains, cottages, bungalow’s, large tea plantations are located nearby and it gives the most fascinating view over it. Even it will be seen in summer time also. It is said that during the British era, British planters cane here to play golf in the evening time and they constructed a stable for their horses and a rest house in the area. The relics of the rest house can be seen here. Once you reach at the top of Chitirapuram Hill Station you will get astonished by the views of Chembra peak. With the Varying shades of Virgin shola forest on both sides, you may feel a heavenly blitz that only fascinate each and every person’s mind relish and make them feel peaceful mindset. Guest will get an heavenly feel when enter into Chitirapuram Hill Station. From this point of view the tourist can observe the breeze and wind will surf you mind to refresh. People can observe the mist clad peaks of Nil Gris range. There also varying topography includes hills, rocks and valleys. Chitirapuram Hill Station and you can also observe the silver linings of streams among the thick scenery. An ecotourism project is on the anvil for the area and the district to promote more about Chitirapuram Hill Station. Trekking to the top of the hill takes almost a day and the DTPC arranges such trekking packages. Guides trekking and camping apparatus also get arranged by the government. There is an option of stay temporary package is also offered by DTPC. How to Reach Chitirapuram Hill Station? This article is about Idukki district of Kerala state. This is a place famous for its natural beauty with mounatins and forests which made it a popular tourist destination in Kerala. Many tourists are visitng this picnic spot to feel the cool climate and natural beauty. Munnar ,Periyar National Park and Thekadi lake are the major attractions here. Check this article for most attractive and important wildlife sanctuaries in kerala. An overview of Pookot Lake in Wayanad.Pookot Lake is one among the best known tourist places located in wayanad,Kerala.Read the full story here. This article is about Thekkady one of the best tourist spot in kerala.Read more to find details about thekkady. Chimmini Wild Life Sanctuary is one of the eco-tourism project of Kerala Tourism. Chimmini Wild Life Sanctuary is located at Mukundapuram Taluk of Thrissur District of Kerala state, in India. Here we give you the exact location, How to reach Chimmini, Contact details and where to stay in Chimmini. This is the best season for visiting Chimmini. So enjoy the summer vacation 2011 in Thrissur Tourist locations.